I received a copy of this book in advance from Quercus Books in exchange for an honest review. The book starts with Sophie writing her yearly Christmas newsletter to send to family and friends; I don’t know anyone who does this in real life but it sets the tone for what kind of family this is. 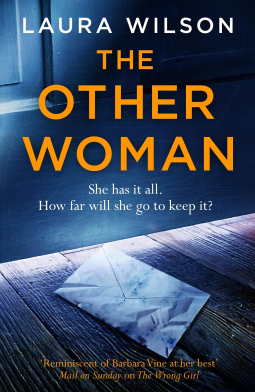 For the past few years, she has been getting newsletter returns with unkind messages written on top and the latest reply tells Sophie that her husband is having an affair and will be leaving her; hence the title of the book “The Other Woman”. We follow Sophie as she tries to figure out who this other woman is and the lengths she will go to find out. Her suspicions are pushed further when her husband Leo is distant from her and tells her to stop spending money, and finding items in the house that don’t belong to her, her children or the housekeeper. Once Sophie finds the woman she believes is having an affair with her husband and she confronts her and it goes violently wrong, we follow Sophie as she tries to cope with the consequences of her actions. The confrontation happened before getting half way through the book so I wasn’t quite sure which direction the book would be taking us and how the book would be ending. Sophie clearly doesn’t cope very well and we don’t see her confronting her husband Leo until further on towards the end. The ending didn’t go how I expected it to go and it was quite sudden what happened, but I can imagine how Sophie will spin the story for her favour. Overall, a good book, fairly slow to get to the action and the ending leaves you to make your own assumptions.